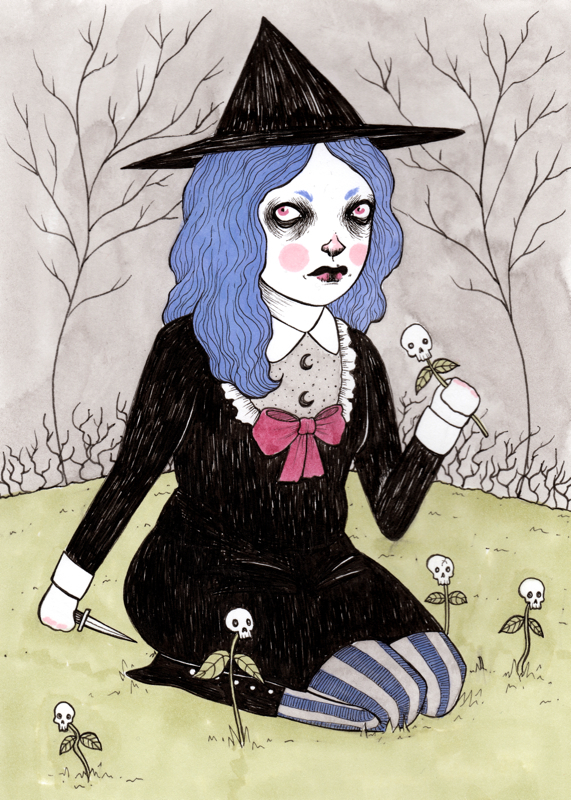 This week’s pick is a must for October in preparation for Halloween, artist Ally Burke of deadspiderhands. She’s been a pick twice before but I cannot resist sharing her artwork. I absolutely adore her style and I love the humor of her work. 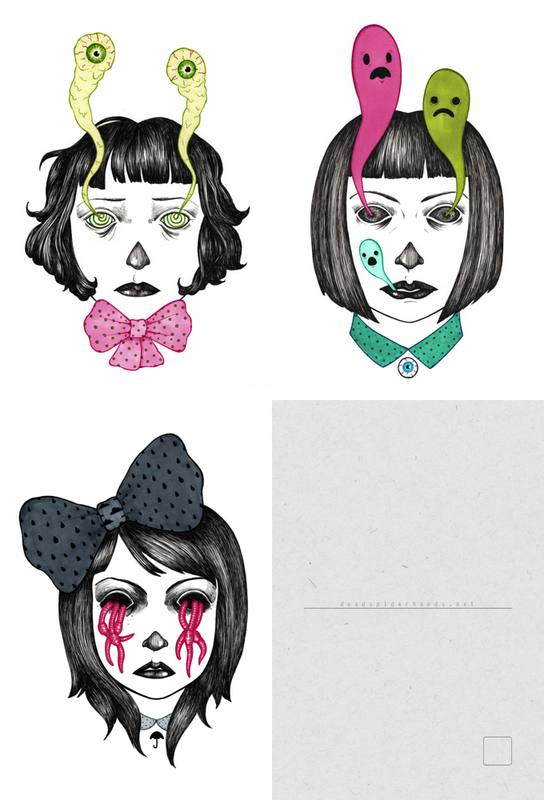 Her shop is primarily prints, stickers, postcards and originals of her twisted portrait illustrations and paintings. 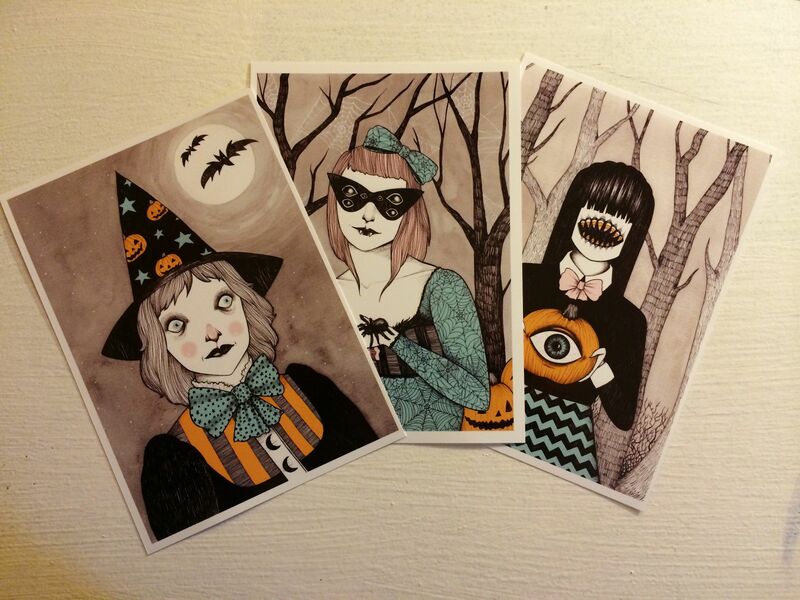 She even has a set of special prints, and a zine just for Halloween this year. I was surprised looking back at my previous posts to see that I had never even shared some of my most beloved pieces of her artwork in my possession. Before I’ve shared some of her postcards and stickers, and a print from Society6 but now I also have 3 original illustrations, a painting, and I even have a commissioned portrait of Victor and me for our 3rd year anniversary. I may pick up even more originals soon as she’s done a few illustrations on dollies that look divine and I’ve been thinking I need a portrait of me and my cat as well (total crazy cat lady, right?) The experience of working with her on the commission was wonderful and she was more than accommodating to all of my requests and feedback so I’d love to do it again. There isn’t much more I can say as clearly I’m a little entranced with her work but if you need something Halloween themed her shop is great place to look. 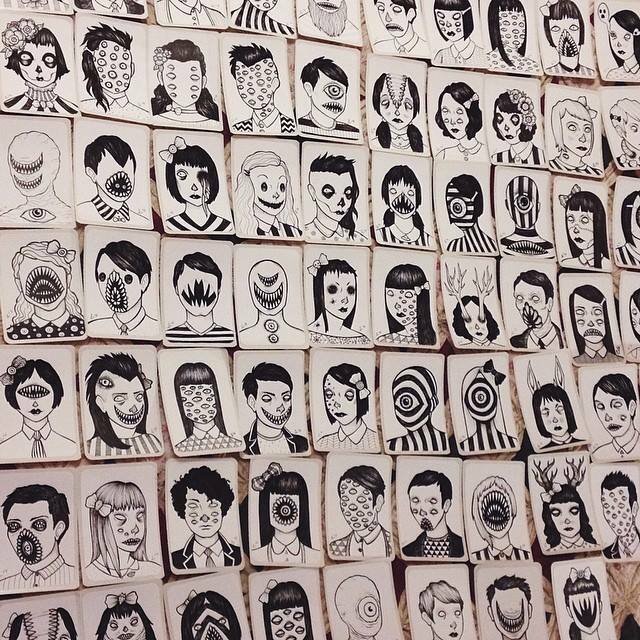 If you love her style I suggest following her on Tumblr or Instagram as well because I find the illustrations of hers I like the most are usually just her everyday sketches that stay in her sketch book. Here is a look at all the things I have in my little deadspiderhands collections.